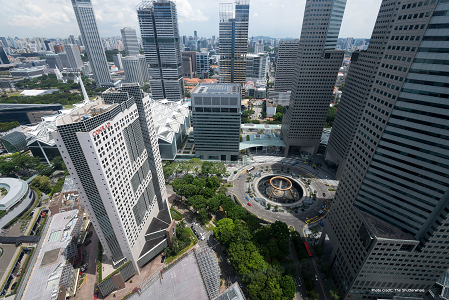 Located in the vibrant Marina Bay, a mere 20 minutes from Changi International Airport, along with the area's increased attractions, Conrad Centennial Singapore is one of the Lion City's most esteemed address for the business and leisure traveller alike. 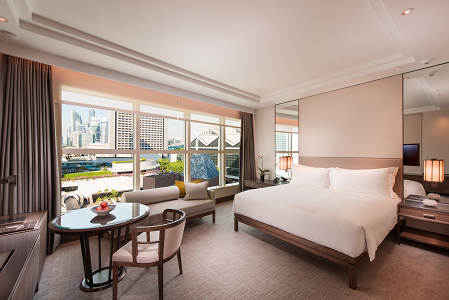 Wake up in one of the newly refurbished guest rooms or suites that exude an air of effortless modern luxury with Asian touches. Accommodations start at a generous 40 square meters and feature thoughtful extras including stunning marble bathrooms with double-vanity sinks, separate bathtub and shower with rain shower, in-room Nespresso machine with complimentary capsules, branded bath amenities and 55" adjustable HD television sets. Hilton Honors guests checking into the Conrad Centennial Singapore can select the exact room of their choice and access their rooms with the Digital Key function on their smart phones using the Hilton Honors app. Guests can also pre-order their preference of bath amenities, choice of pillow from the extensive pillow menu, and room service all prior to arrival via the Conrad Concierge option on the Hilton Honors app.